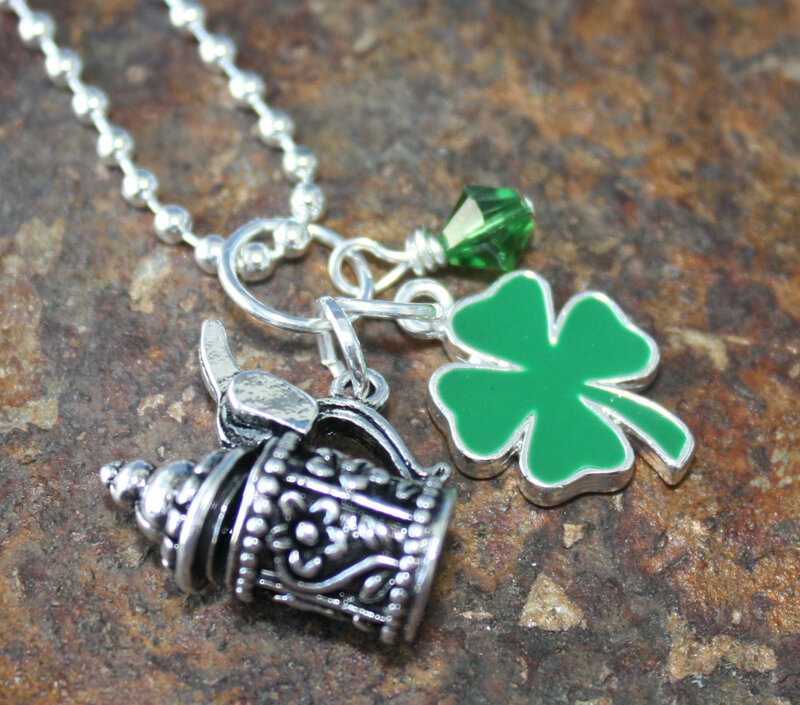 Time for a little green beer to celebrate St. Patty’s Day. 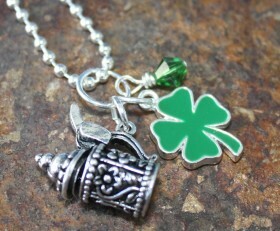 This necklace is perfect for all those parties with a green shamrock, a beer stein and green Swarovski crystal. Categories: Holidays, St. Patrick's Day.